It’s that time of year again. Beloved knife models are dropping like flies and there’s nothing we can do about it. Knife brands are publishing their lists of discontinued knives. First there was Kershaw. Then Benchmade (which we’ll get to in a few days). 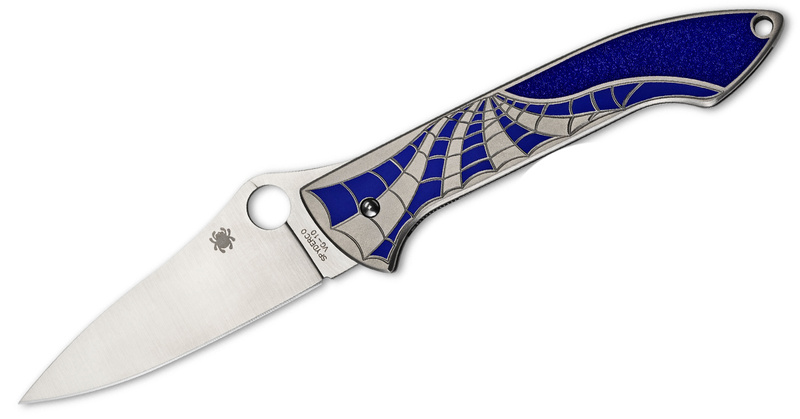 Now there’s Spyderco. Some of these aren’t surprising and were predicted (considering many have sequels upcoming) but that doesn’t make it hurt any less. As I did with Kershaw, I’ll write obituaries for a few of my favorites. If you want to see the full list (along with links to those still available at Knife Depot), skip to the bottom. The Friction Folder was an original. A few months ago, I wrote a thorough post explaining what a friction folder is, how it works, and why anyone would want one. I also named four factory-made friction folders you can buy. Yes, the Spyderco Friction Folder was on the list. This was a non-traditional folder that used friction to keep the blade engaged. While this isn’t the type of knife you’d use for tough tasks, it’s great for simple EDC jobs. Not only that but this was one of the few knives legal to carry in the United Kingdom. While the number of factory-made folders is dwindling by the day, you can find a number of friction folders from custom makers. Farewell old friend. The Rubicon is dead. Long live the Rubicon 2. The death of the Rubicon was one of the least surprising discontinued knives this year because of the arrival of the new Rubicon 2—a cheaper but faithful version of Peter Carey’s original masterpiece. What did the handsome Rubicon in was the high cost. I would have loved to use it as my EDC, but it went for more than $300. The 3.03-inch blade was made from CPM S30V steel with a fascinating blade grind. 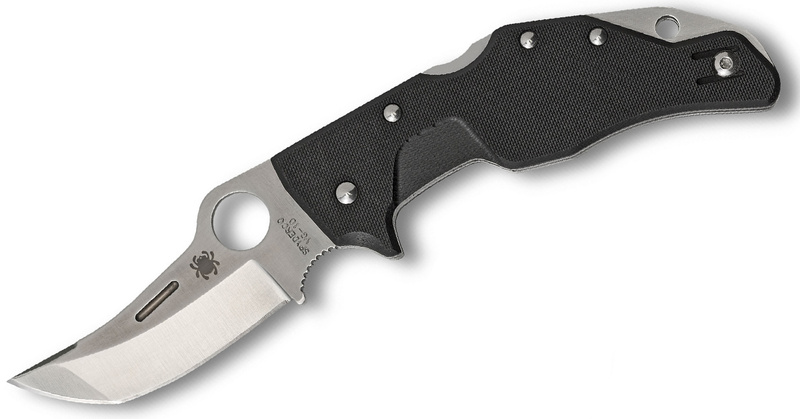 It had a prominent swedge, a high hollow grind, and Spyderco’s iconic Round Hole. The contoured carbon fiber handles were comfortable. The knife had various flourishes like scalloped orange G-10 backspacer and pivot, skeletonized titanium liners, and ball-bearing washers. While I will miss the original Rubicon, the Rubicon 2 is far more practical and may become a bigger seller. Farewell K-2, we hardly knew ye. The K-2 was released about two years ago but didn’t make a huge impact (except for a few diehard K-2 fans). Its main selling point and ultimately its downfall is the size. Coming in at nearly 10 inches, the K-2 boasts a 4.54-inch blade made from CPM 10V with a burly titanium handle. The Farid Mehr design was wicked and intimidating but might have been too large for most knife fans. 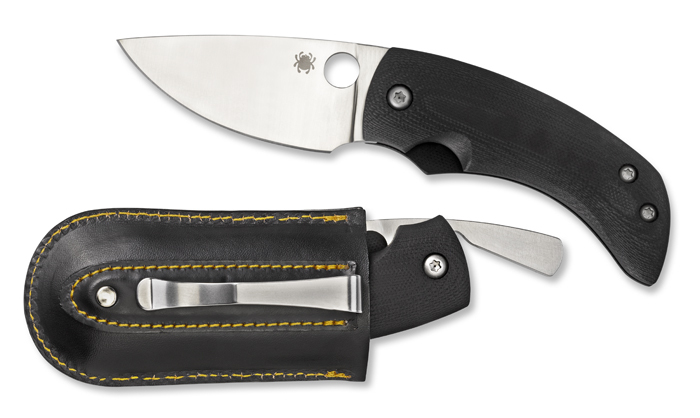 However, in January, founder Sal Glesser casually dropped in the forums that Spyderco was moving forward with a mini K-2 design. It’s likely this smaller version will have broader appeal, but the huge K-2 will be missed. Rest in peace, Mike Draper. Err, well, Mike Draper the man is alive and well but his Spyderco collaboration is going the way of the Dodo. I’ve always been quite fond of the Mike Draper Folder—with its solid tatnium handles and swirled blue web design. But for whatever reason, this knife just didn’t take off. The VG-10 blade is good-looking, but the price might have been a wee bit too high. We have it at Knife Depot for $219.99, but it might have benefited from a lower pricepoint. Considering the fact that this knife came out in 2014 and not a lot have been sold, it’s likely we’ll be seeing a lot of people pining for this model on the secondary market. I’d get one while they’re still relatively cheap. I recently wrote an article on folders designed specifically for self-defense. The Battlestation didn’t quite make the cut, but it should have. Boasting an angular and intimidating look, this Alex Diaconsecu-designed folder featured a VG-10 blade a little less than 3 inches and black G-10 handle scales. This knife is built like a tank with a unique design. 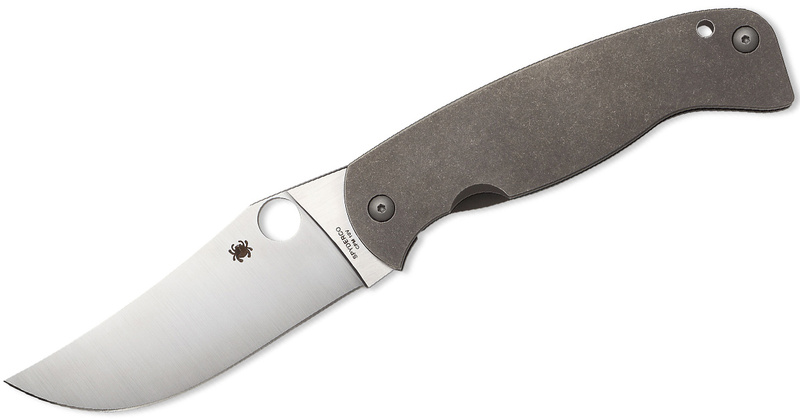 That’s why it’s not surprising it flew under the radar of most Spyderco fans. Well… the high price probably contributed to that as well. Nevertheless, I imagine absence will make the heart grow fonder.